NOW WITH UNLIMITED KMS 5 YEAR FACTORY WARRANTY!!!!.. 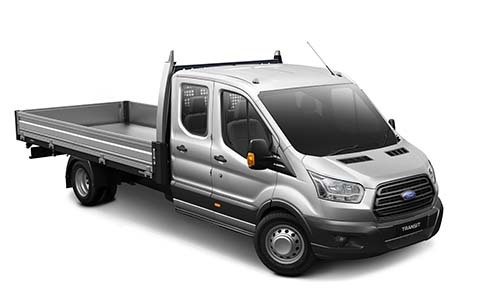 4.188 AXLE RATIOCity NAV Pack including 6.0" Multifunctional Display, SYNC, Satellite Navigation, Front and Rear Parking Sensors, Reverse Camera and Front Fog Lamps.. NEW FORD TRANSIT DOUBLE CAB CHASSIS 470E MANUAL RWD (Frozen White). - RACQ Membership and roadside assistance INCLUDED.. - FORD SERVICE PRICE PROMISE for 7 years.. - 5 Star ANCAP Safety Rating.. I'm interested in a New 2018 MY18.75 Ford Transit VO 470E Double Chassis Cab Cab chassis (stock #R4Q4).